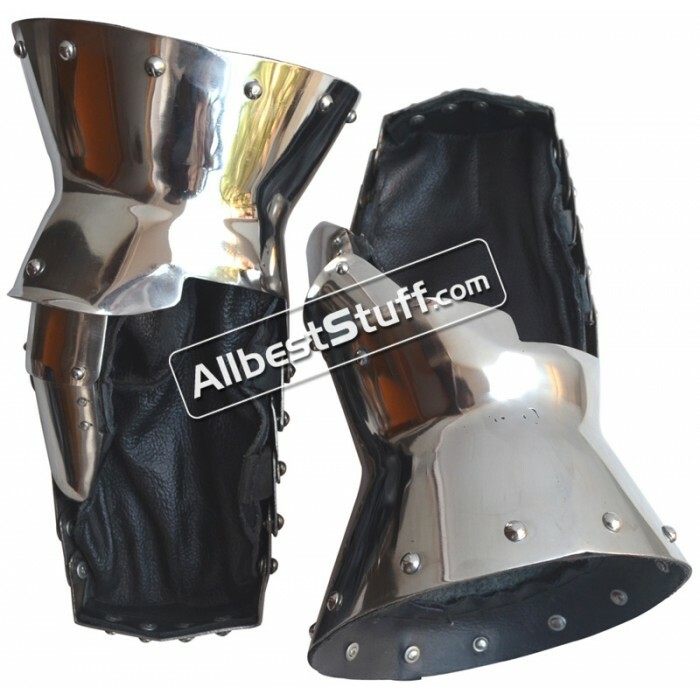 These fully functional gauntlets are crafted from 16 gauge stainless steel (Rust Proof) and are fully articulated. A black leather glove has been riveted and incorporated into the metal gauntlet. 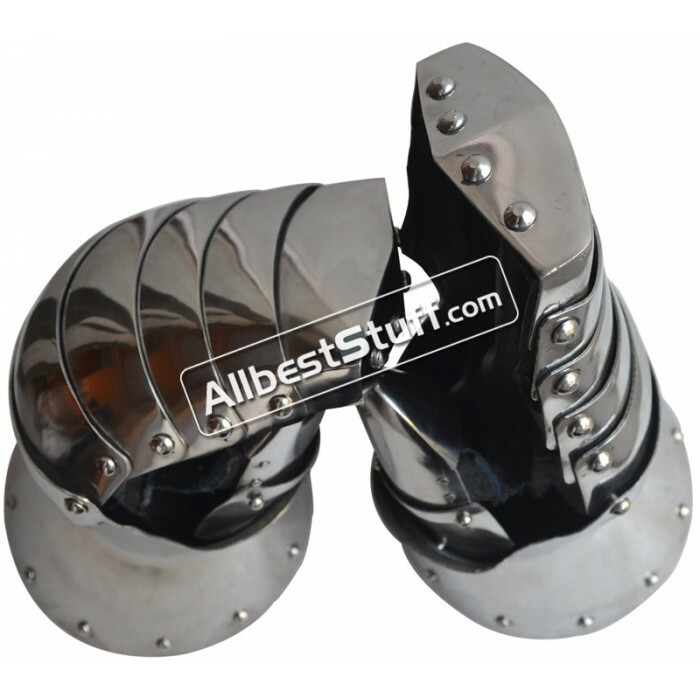 The genuine leather glove helps to protect the hands in many ways and allows the sword wielder to have a solid and firm grip when fighting. Thumb and 4 fingers has been riveted down and is very flexible, allowing finger to fold freely. 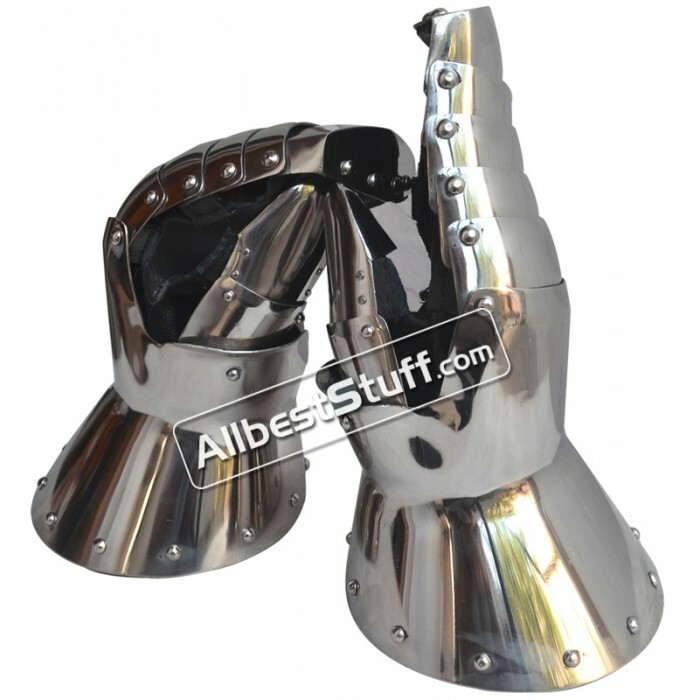 The leather glove is seamlessly stitched down to a thicker 5 mm leather and attached to the 16 gauge steel gauntlet using offering double strength.Thumb fully protected from hard blows with added protection to remaining fingers during fighting. Leather gloves riveted to leather sheet at edges for confit wear. This item is covered in oil to prevent oxidation. 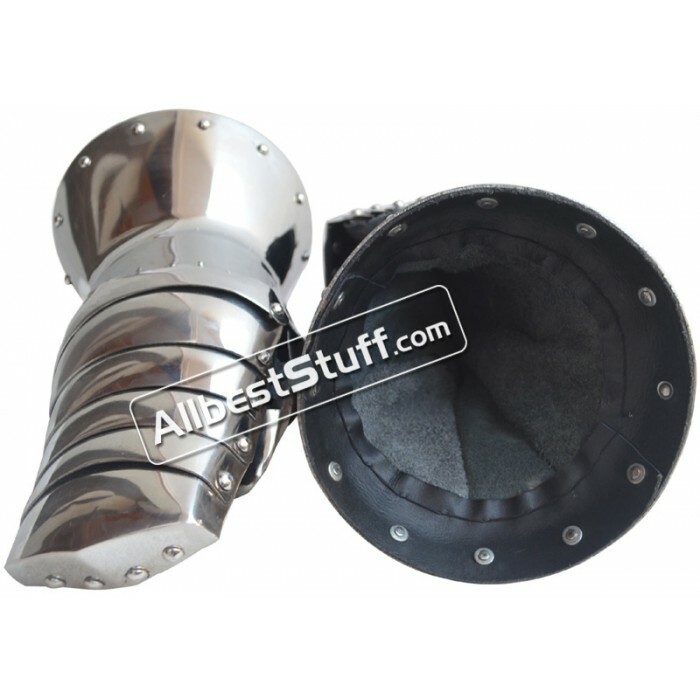 Regular maintenance and cleaning should be done to prevent rusting.